College artist’s blooming good show! The world famous Kew Gardens is being offered a helping hand from a Dundee College artist. 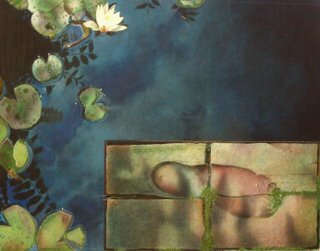 Angus McEwan has produced four works for the Artists KEW exhibition to be held in London in a bid to boost funds to support the Royal Botanic Gardens plans to construct a purpose-built gallery to display Kew’s unrivalled collection of botanic art. Angus is one of 50 artists supporting this venture. 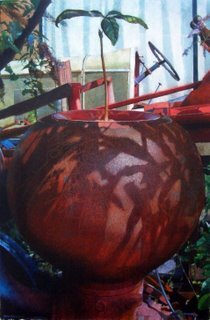 One of the pieces the lecturer painted for Artists KEW has already proved a success; “Industrial Heritage” has been made into a print by Macdonald Fine Art. The same piece has also won a finalist award in the April/May edition of International Artist magazine. “To say that I am excited about this project would be an understatement,” commented Angus. It is thanks to a previous success that Angus was approached by the organisers. 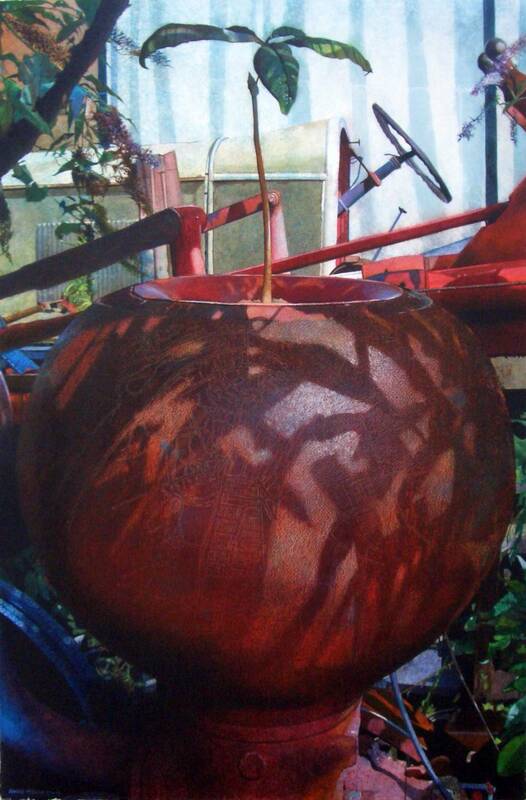 Artists KEW opens at the Kew Gardens Gallery on May 9 and runs till June 18. A selection of the works, including one of Angus’s pieces, go on show in a preview exhibition in Messum’s of London from April 25-27. For those who can not actually visit the exhibition, Kew Gardens are producing a hard-back catalogue of the exhibition with a foreword by Sir Roy Strong and an epiloque by Lord Selbourne in his capacity as both chairman of Kew’s trustees and a patron of Artists KEW.